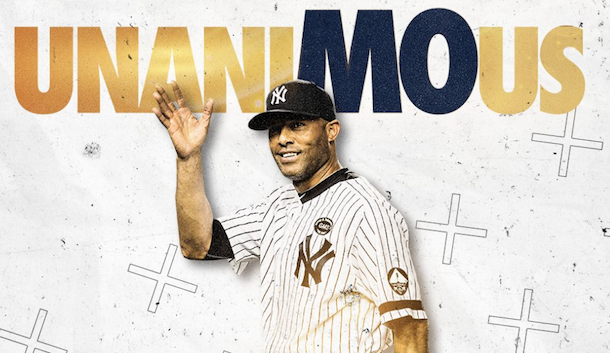 New York Yankees closer Mariano Rivera became the first player unanimously elected into the National Baseball Hall of Fame on Tuesday. Mariano Rivera helped the Yankees win five World Series titles, and he was invaluable as New York turned to him to finish postseason games. In 141 playoff innings, he recorded 110 strikeouts and allowed a paltry 86 hits, 21 walks and 11 earned runs. His 42 postseason saves are more than twice as many as the next closest player has (Brad Lidge, 18).